Victoria Mews, Phillip Street, Newport, Gwent. Located on the main road into Newport. Newport City Centre is only a stone throw away. Cardiff and M4 Motorway only minutes drive. 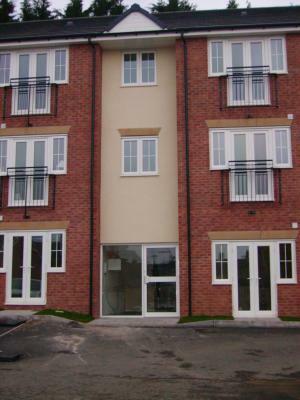 A new development of two bed flat or apartment ideally suited for an executive or professionals wanting to be close to both Newport and Cardiff Cities. This is an unfurnished spacious flat. Bright spacious and in excellent condition. Beige carpet through-out giving a clean modern feel which is easy clean. Bathroom is carpetted for that extra warmth. Kitchen floor is tiled for easy care surface. Lounge opens to Juliet balcony. Fully fitted Kitchen, Fridge/Freezer, Washer/Dryer machine, Electric Hob and Oven.